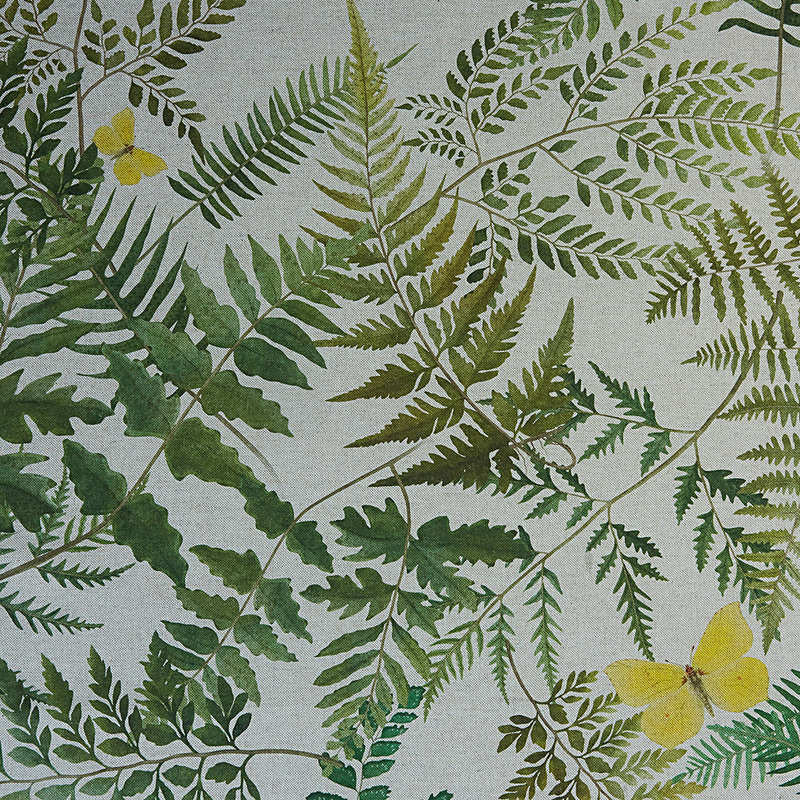 Fern Glade Linen is a 100% Cotton furnishing fabric featuring a beautiful botanical pattern. The fern detailing and pretty butterflies in a complimentary yellow shade will create a spring time environment in any home. Washable at 30C. Cool Iron.